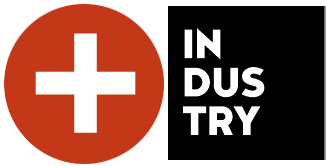 International trade show for pump systems, valves and equipment for industrial processes. Specific solutions to technical problems. The visitor will find a highly concentrated supply with a wide range of components used in the industrial processes. This trade show will give you the opportunity to see and compare technologies in a single visit. This directory is designed to provide the necessary information to plan your visit to Pumps & Valves. All companies listed here are exhibiting at Pumps & Valves Fair to be held from 4 to 6 June 2019 in Bilbao Exhibition Centre. More exhibitions, a better industry. The largest international manufacturing processes and industry supplies meeting. A unique industrial space that offers an interesting journey through 7 international trade shows held at the same time. The P&V Fair offers important opportunities for promotion and capturing new clients. For us, it has been a good tool to promote our new office in the northern region. Thanks to the wide range of products and business lines, this type of fairs enables us to present ourselves to our clients in a more global way. Head of the northern region at Técnica de Fluidos. PUMPS & VALVES has been an opportunity to promote our products. After a long period without any fair devoted to our sector, PUMPS & VALVES has been an opportunity to promote our products from the most local environment to nationwide, without the need to travel to other regions.